The product of a consensual agreement reached between Al-Azhar officials and numerous prominent intellectuals and religious figures following extensive discussions over the last few weeks, the Document contains 11 main articles and is meant to serve as a foundation for a new social arrangement in post-Mubarak Egypt. The statement opens with a definitive and unequivocal position on the contentious debate taking place in society between liberal forces and religious currents on the nature of the relationship between religion and the state in a new Egypt. In a clear rejection of the argument put forward by many Islamic Salafists, the Grand Imam laid out his support for a ‘democratic and constitutional’ state. “Islam has never, throughout its history, experienced such a thing as a religious or a theocratic state,” El-Tayeb said. He added that theocratic states have always been autocratic and humanity suffered a great deal because of them. The document stressed its support for universal democratic rights such as free and democratic elections where the citizens as a whole constitute the sole and legitimate source of legislation. The Grand Imam said that striving towards social justice needs to be a basic component in any future economic arrangement in Egypt. He stressed that affordable and decent education and health care services must become a right for all citizens. The document was explicit in its support for freedom of expression in the arts and literary fields within the accepted boundaries of Islamic philosophy and moral guidelines. It highlighted the need for expanded scientific and popular campaigns to combat illiteracy and advance economic progress. “We need a serious commitment to universal human rights, the rights of women and children,” El-Tayeb said. In a clear reference to the status of religious minorities especially Copts, the Grand Imam stated that citizenship must be the sole criterion by which both rights and responsibilities are administered in society. The document asked all Muslims to refer to Al-Azhar’s religious opinions as the highest and final word in all disputed theological matters. In foreign affairs, the document stressed that Egypt must regain its once prominent status in the Arab, Muslim and African spheres, maintain its sovereign and independent decision making process and continue its support for the Palestinian people. 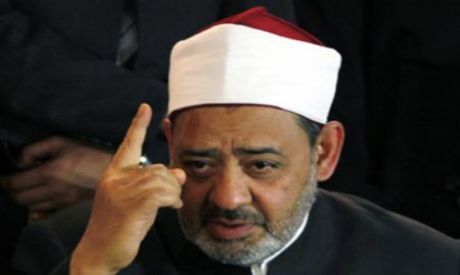 Finally, the Grand Imam demanded that the Institution of Al-Azhar be independent of the state. Along those lines, the document pointed out that the Supreme Clerical Committee of Al-Azhar not the government – as has been the practice for decades – chooses the position of Grand Imam. It's a truly enlightened view. I'm only worried about the following sentence: "The document was explicit in its support for freedom of expression in the arts and literary fields within the accepted boundaries of Islamic philosophy and moral guidelines." This is still an excuse to stifle the freedom of expression. From the viewpoint of a citizen of a Scandinavian welfare state this document is very interesting and quite encouraging. Could Al Ahram provide an English translation of the document for us Westerners less versed in Arabic and keep it posted for a while ? “Islam has never, throughout its history, experienced such a thing as a religious or a theocratic state,” El-Tayeb said. He added that theocratic states have always been autocratic and humanity suffered a great deal because of them." I'm confused. If the Muslim nations of the past were not religious states, then what was it? Anyone know? Egypt shouldn’t and never becomes an Islamic state. We are Egyptians and we like the fun all the time. We are now in the 21st century able to express our thoughts more clearly using evidential facts not thoughts based on religious myths. Science proves many things in this world and now we can understand these many things more then we have ever understood before. We have to realise that politics & religion never work together which means religion should be kept in the mosque, church or temple; and personally between people and God. Which three religions? Are there 2 types of Christians or is it Christian, Muslim & Hindu or something? And why does the guiding principle need to be based on Islam which will define boundaries of acceptability? While he's supporting the Palestinians, why not the Pakistani brethren where India used to be for 30,000 years. Then there's the Sudan....a lot of diaspora to catch up with. Al-Azhar is an apostate and does not represent Islam but represent Egypt... What they are saying is not Islamic and words of the Kufar... they should be ashamed of themselves.